I am going to discuss how to create a List in Android having text label and associated edit box. In this article, I am going to discuss about creating a List in Android having text label and associated edit box. Here I am going to create a shopping list where user can enter the price for each item in the edit box. We will see how to add edit box (EditText) into a list (ListView) and retrieve the values entered into the edit box. I had hard time in making the edit box remain focusable on first click. I will discuss the reason for this behavior and how to solve it towards the end of the article. 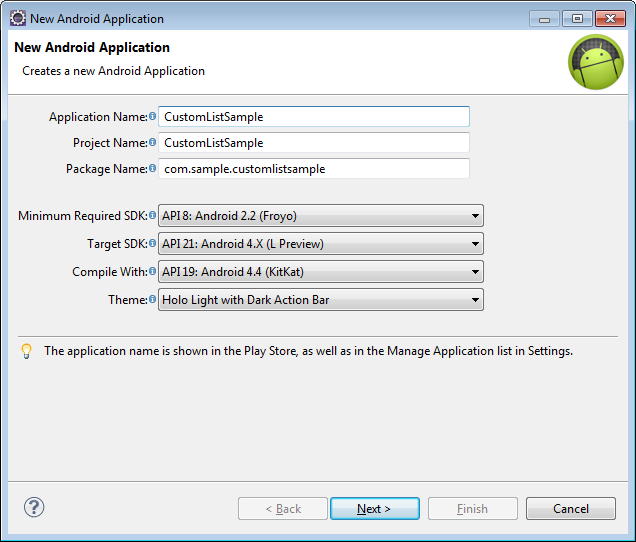 Open Eclipse and create a new android project. Choose a blank activity for the project. 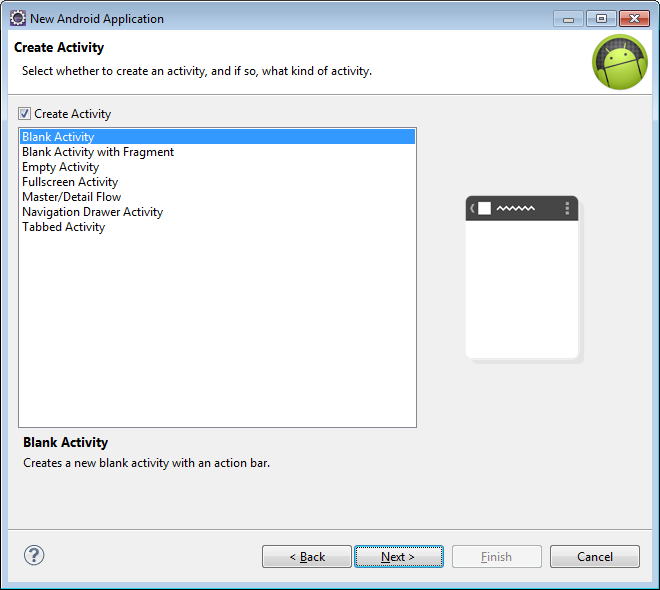 Open the layout file for the main activity and add a ListView component to it. The next step is to create a custom layout that will be used to represent each item in the list. Here we will define a custom layout using TextView and EditText android components. Note here we have set the android:inputType property of EditText to “numberDecimal”. This will display numeric soft keyboard when focus is on the EditText. If you wish to input some other kind of data, you can set the android:inputType accordingly. Here we have created a Map to store item prices. This map is used to reload the input data when view got refreshed. These stored values could be further used in subsequent activities like calculating total amount spent on shopping etc. 1. When you execute this application and click on any EditText in the list, numeric soft keyboard will be displayed. This action makes the list items render again. So the EditText that we clicked on gets rendered again and loses focus. The ListView gets the focus on this new list. To get the focus on the selected EditText we need to set the android:descendantFocusability property of parent ViewGroup which is ListView in our case. 2. Another issue you will encounter is that if you select an EditText that is towards the end of the list, when the soft keyboard appears the EditText loses focus. This happens even if the ListView property mention in above point is set. If you entered the number using keyboard this will get added to some random EditText. To solve this issue add the following for your activity in the app’s manifest file. Published at DZone with permission of Davinder Singla . See the original article here.